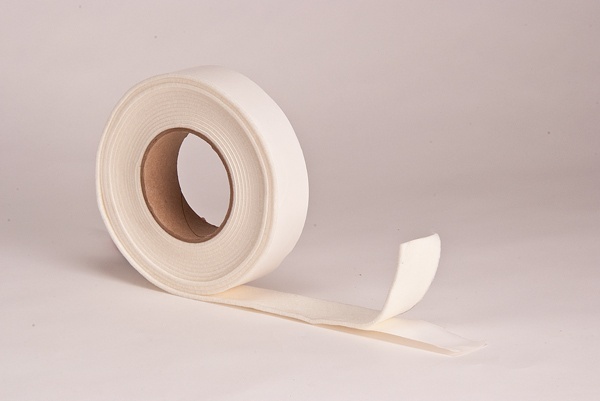 GPS Greenhouse Felt Tape is a self-adhesive white tape that is designed to provide a barrier between the frame and the film. It features a 1/8” thick white felt with an acrylic adhesive back for permanent application. By using this white felt tape, you are protecting the life of your greenhouse film as this it creates a nice soft barrier between the framework and the poly. Often the frame can abrade the film or expose the film to excessive temperatures where the film comes in contact with the frame. It is the perfect solution. Is a single coated, adhesive felt tape with an acrylic based adhesive. The acrylic adhesive bonds to aluminum, steel and timber framewrok. Protects surfaces such as floors, walls, woods and plastics. ASTM and other industry standard test. The data should not be considered as exact specifications.